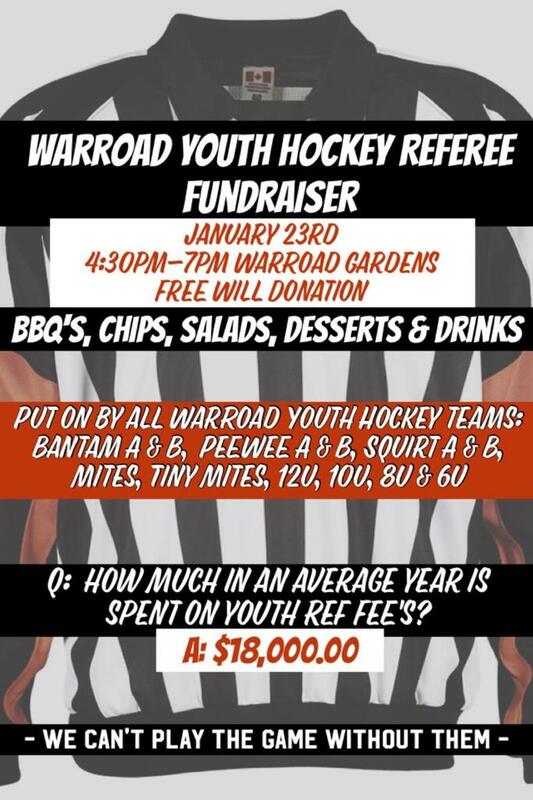 Warroad Youth Hockey would like to invite you to our Meal Fundraiser to help our kids compete at home. The cost is a free will donation. We will be serving BBQ's, Chips, Salads, Desserts and Drinks. The proceeds of this event will help offset the rising costs of referee fees which are required for our home games. Please, help us keep our kids competitive at home and come out and support this event on Wednesday, January 23, 2019, from 4:30pm-7:00pm at the Warroad Gardens Arena.